All three cards have the same behavior, with the exceptions detailed in the table below. Between July 2014 and April 2015, all Apollo and Apollo 16 units shipped from the factory with the Thunderbolt 2 Option Card pre-installed. 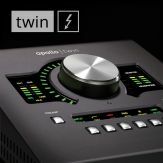 As of April 2015, Apollo FireWire units shipped from the factory do not contain a Thunderbolt Option Card or Thunderbolt 2 Option Card, and Apollo 16 (silver) is discontinued. Previous-generation Apollo 8, Apollo 8p, and Apollo 16 mkII models ship from the factory with the Thunderbolt 2 Option Card pre-installed. These models do not have FireWire ports. Latest-generation Apollo x6, Apollo x8, Apollo x8p, and Apollo x16 models ship from the factory with the Thunderbolt 3 Option Card pre-installed. These models do not have FireWire ports. This page contains all documentation related to the Thunderbolt Option Cards (there is no separate manual). Please review the information in this section carefully before installing or using the device. Important installation note: When removing or replacing Apollo's expansion bay cover plate screws,* take precautions to ensure the screw head sockets do not strip by inserting the hex wrench* deeply into the screw head before rotating the screws. The Thunderbolt Option Cards are designed for easy installation by the user. Detailed instructions are provided in the printed Installation & Setup Guide in the retail package. To download the Installation & Setup Guide, click here. Note: Instructions are the same for all three versions of the Thunderbolt Option Card. 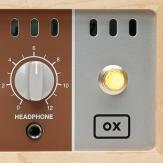 Data for audio I/O and UAD plug-ins used in the DAW is streamed via PCIe instead of FireWire. 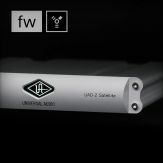 Therefore FireWire bandwidth limitations no longer apply, and higher UAD plug-in instance counts can be achieved (within the constraints of available UAD DSP). 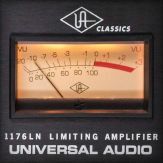 The minimum processing buffer of 512 samples for UAD plug-ins streamed via FireWire no longer applies (unless UAD-2 Satellite FireWire is connected*). 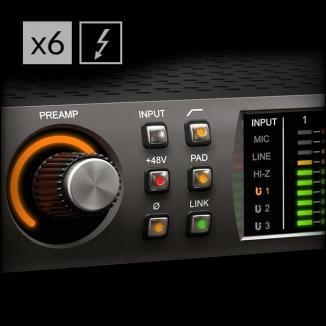 PCIe can use smaller buffers, therefore latency is reduced for UAD plug-ins used in the DAW. 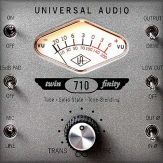 FireWire tuning via the UAD Bandwidth Allocation parameter is no longer applicable (unless UAD-2 Satellite FireWire is connected*). 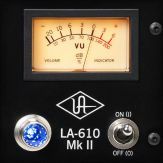 The FireWire panel in the UAD Meter & Control Panel application does not appear when Apollo is connected via Thunderbolt, so the parameter is unavailable. 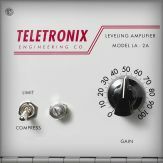 Similarly, the FireWire bandwidth gauge in the UAD Meter does not appear. 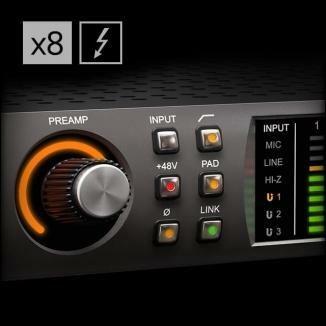 LiveTrack mode is available for UAD plug-ins used in the DAW. 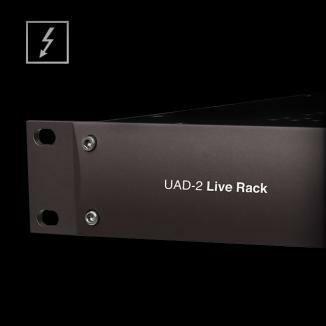 When enabled, LiveTrack mode reduces UAD processing latency via PCIe even further. 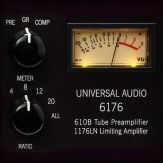 LiveTrack is useful when playing virtual instruments through UAD plug-ins. The original Thunderbolt Option Card has port numbers silkscreened on the plate ("PORT 1" and "PORT 2"), while the Thunderbolt 2 Option Card does not have port numbers, as shown below. Also, the ports are slightly recessed on the Thunderbolt 2 Option Card. The Thunderbolt 3 Option card features USB-C connectors, which are more oval in shape than the ports on the other Thunderbolt Option Cards. It also features "UNIVERSAL AUDIO, INC." silkscreened above the ports. The Thunderbolt 2 Option Card and Thunderbolt 3 Option Card provide support for 4K display monitors. Note: These cards are fully compatible and compliant with Thunderbolt 1 & 2 ports and devices on Mac. A Thunderbolt 3 port is required for compatibility with all UAD Thunderbolt devices on Windows. The Thunderbolt 2 Option Card and Thunderbolt 3 Option Card do not contain FireWire circuitry. All operational differences are summarized in the table below. The Thunderbolt Option Card and Thunderbolt 2 Option Card can be connected directly to Macs that have Thunderbolt 1 or Thunderbolt 2 ports. The Thunderbolt Option Card and Thunderbolt 2 Option Card can be connected to Macs that have Thunderbolt 3 ports via the Apple Thunderbolt 3 (USB-C) to Thunderbolt 2 adapter. The Thunderbolt 3 Option Card can be connected to Macs that have Thunderbolt 1 or Thunderbolt 2 ports via the Apple Thunderbolt 3 (USB-C) to Thunderbolt 2 adapter. 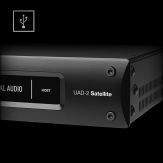 A Thunderbolt 3 port is required for compatibility with any UAD Thunderbolt device on Windows. The Thunderbolt Option Card and Thunderbolt 2 Option Card can be connected to PCs with Thunderbolt 3 ports via a qualified Thunderbolt 3 to Thunderbolt adapter. The primary benefit of Thunderbolt 2 is to facilitate the use of 4K video displays. In general practice, there are no other operational advantages. Thunderbolt 2 and Thunderbolt 1 have the same total amount of bandwidth (20 Gbps). Thunderbolt 1 has two 10 Gbps lanes while Thunderbolt 2 has one 20 Gbps lane. 4K video requires more than 10 Gbps (but less than 20 Gbps) at video refresh rates higher than 30 Hz. Thunderbolt 2 enables the increased bandwidth needed to deliver 4K video resolutions at 60 Hz refresh rates. Adding a Thunderbolt 1 device to a Thunderbolt 2 chain will cause subsequent Thunderbolt 2 devices in the chain to use Thunderbolt 1 protocol. In general, if 4K resolutions at high video refresh rates aren’t required, Thunderbolt 1 bandwidth is more than capable for even the largest audio production needs. Thunderbolt 3 has a max total bandwidth of 40 Gbps (when using a 40 Gbps Thunderbolt 3 cable). Thunderbolt 3 cables are available in 20 Gbps and 40 Gbps versions. These cables have no impact on the performance of UAD Thunderbolt devices. For details, click here. Like Thunderbolt 2, Thunderbolt 3 facilitates the use of 4K video displays. Adding a Thunderbolt 1 or Thunderbolt 2 device to a Thunderbolt 3 chain will cause subsequent devices in the chain to use the Thunderbolt protocol of that device. MacBook Pro with Retina Display: Use the dedicated HDMI port, which supports 4K resolutions. The maximum refresh rate is 30 Hz in this configuration. Mac Pro (Late 2013): The new Mac Pro features three pairs of dual Thunderbolt 2 ports (six ports total on three buses), and also a dedicated HDMI port. Use a dedicated Thunderbolt bus for 4K displays and a separate bus for Thunderbolt 1 peripherals, or plug directly in to the dedicated HDMI port. Note that 4K displays can be used with Thunderbolt 1 Macs, however the video refresh rate is limited to 30 Hz. What are the advantages of using Thunderbolt as opposed to FireWire? 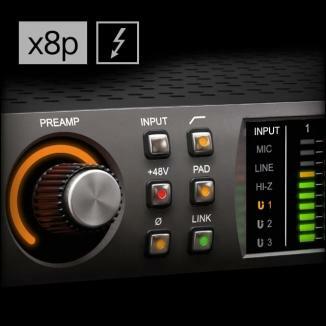 Thunderbolt supports the PCIe protocol, which means you can run more UAD plug-ins with lower latency inside the DAW compared to FireWire connections. 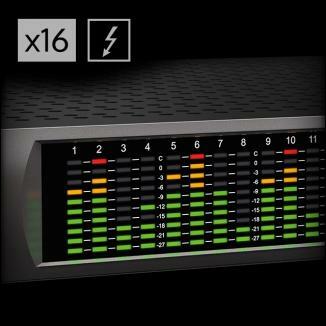 Thunderbolt has 12 times the bandwidth of FireWire 800 and 20 times that of USB-2. 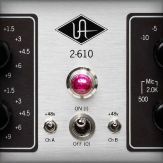 FireWire bandwidth is limited to 55 stereo UAD plug-in instances at 44.1 kHz with a 512 minimum sample buffer size. 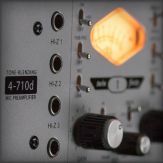 With Thunderbolt, the UAD plug-in buffer is the same as the DAW I/O buffer, and hundreds of UAD plug-in instances can be run (depending on available DSP power). What are the differences between Thunderbolt 1, Thunderbolt 2, and Thunderbolt 3? Thunderbolt 1 and 2 have the same total bandwidth (20 Gbps). Thunderbolt 1 is divided into two 10 Gbps channels, whereas Thunderbolt 2 contains a single 20 Gbps channel. Thunderbolt 3 has a max bandwidth of 40 Gbps when using a 40 Gbps Thunderbolt 3 cable. Thunderbolt 3 cables are available in 20 Gbps and 40 Gbps versions. What are the advantages of Thunderbolt 2 over Thunderbolt 1? A 4K display with a refresh rate of 60 Hz requires more bandwidth than a single Thunderbolt 1 channel can provide. If you want to use a 4K display at a refresh rate higher than 30 Hz, the Mac and all Thunderbolt devices before the 4K display must be Thunderbolt 2. All currently shipping Thunderbolt 2 Macs have two Thunderbolt 2 ports, so Thunderbolt 1 devices can be connected to a different port than the 4K display. Is Apollo with the Thunderbolt 2 Option Card or Thunderbolt 3 Option Card compatible with my Thunderbolt 1 Mac? Yes! With Thunderbolt 1 Mac computers, the Thunderbolt 2 Option Card or Thunderbolt 3 Option Card will perform as a Thunderbolt 1 device. The Apple Thunderbolt 3 (USB-C) to Thunderbolt 2 Adapter is required to connect the Thunderbolt 3 Option Card to Thunderbolt 1 Macs. What happens if I daisy chain Thunderbolt 1 and Thunderbolt 2 devices together? Adding a Thunderbolt 1 device to a Thunderbolt 2 chain will down-shift subsequent devices to Thunderbolt 1 bandwidth (10 Gbps). This only affects 4K displays and other devices with larger-than-normal data throughput (such as large RAID storage arrays). Apollo and Apollo 16 with the Thunderbolt 2 Option Card can daisy chain with up to six Thunderbolt 1 and/or Thunderbolt 2 devices. Does the Thunderbolt 2 Option Card supply bus power? Yes. Both the original Thunderbolt Option Card and the Thunderbolt 2 Option Card can supply bus power to downstream devices. Note that Apollo and Apollo 16 cannot be bus powered by Thunderbolt (the included power supply is required for Apollo operation). Does the Thunderbolt 3 Option Card supply bus power? Yes. The Thunderbolt 3 Option Card provides bus power to downstream Thunderbolt 3 devices, making it possible to daisy chain bus powered Thunderbolt 3 peripherals (like Arrow) to Apollo's Thunderbolt ports. Can I use the FireWire ports on Apollo when it is connected to the computer via the Thunderbolt 2 Option Card? No. Once you load the Thunderbolt firmware into an Apollo family device, the FireWire ports on Apollo are no longer functional. You can connect FireWire devices to Apollo’s second Thunderbolt port via the Apple Thunderbolt to FireWire Adapter. Can I use the Apple Thunderbolt-to-FireWire adaptor to connect Apollo to a Mac with a FireWire port? No. Thunderbolt does not work this way. If you need to connect Apollo to a Mac with a FireWire port, you must use the built in FireWire ports of Apollo (and the Thunderbolt 1 or 2 option card is not used in this scenario). Note that you can use the Apple Thunderbolt-to-FireWire adapter to convert FireWire devices (like hard drives) to Apollo's Thunderbolt ports, but Apollo's Thunderbolt port must be connected to the Mac's Thunderbolt port in order to function. How do I add a Thunderbolt Option Card to my Apollo? The update is very easy. Simply remove two screws, remove the blank plate, insert the card, and replace the two screws. 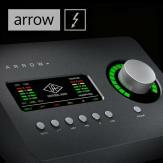 If you were previously using the Apollo via FireWire, a firmware update is required to enable Thunderbolt functionality. To download the Installation & Setup Guide, click here.